Founded in 1992, we’ve established a solid reputation for creating easy-to-read, easy-to-understand information. We’re a woman-owned, small business that consistently completes projects on time and within budget. Our size allows us to give you the benefits of personalized attention from the most senior professionals at a reasonable price. Largely because communication problems know no limits of industry or organizational size, our clients come from all fields. Carolyn Boccella Bagin has conducted some of the most high-profile, plain-language projects in the U.S., including developing the Social Security Statement, the model for the Explanation of Medicare Benefits, and innovative IRS business forms. Bagin has written, designed, analyzed, and developed hundreds of documents — manuals, handbooks, forms, letters, training materials, and brochures. 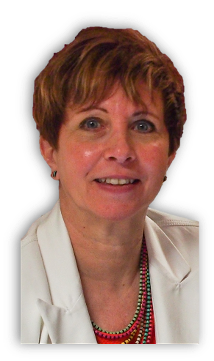 She specializes in revamping forms and notices, working within existing information systems to derive solutions that exceed clients’ expectations. She combines clear language with functional design to develop documents that are easy to read, easy to understand, and easy to process. She’s a member of the Center for Plain Language, Plain Language Association International, and Clarity. 10 Tips for Saving Time and Money on Document-related Projects — and Keeping Staff Happy Along the Way, LinkedIn. Communicating Clearly with Our Customers and Staff, Blue Cross and Blue Shield of Louisiana, 2014. Federal Consulting with a Small Business, Association of Professional Communication Consultants, February 2004. The hidden truth of forms projects, LinkedIn. 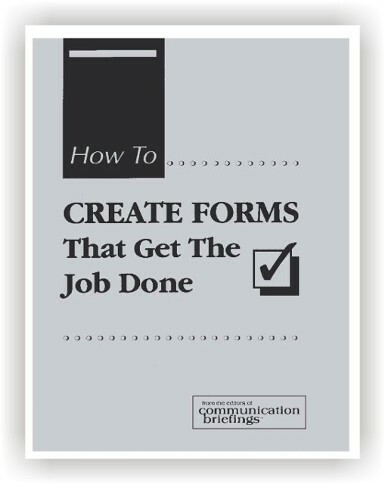 How to Create Forms that Get the Job Done, communication briefings: Blackwood, NJ, 1993. (updated edition in progress). Four Tips to Smooth Organizational Change, LinkedIn. “Oh Those Formidable Forms,” Modern Maturity, February-March, 1990. “Plain language pays off for the Social Security Administration,” Clarity, Number 45, December 2000. Why should you care about bad forms?, LinkedIn. “Worst Forms Unearthed,” Modern Maturity, February-March, 1991. The Association for Business Communication and the Association of Professional Communication Consultants honored Bagin for the project to simplify bankruptcy forms. Judges acknowledged her project management, collaboration, and negotiation skills, along with her consistent adherence to plain language and document design principles. The final set of documents has the potential to make an enormous, demonstrable impact on the judicial system and its users. We also want to commend you for submitting an award nomination written according to plain language principles. It was a pleasure to read. Our 6-year project to simplify bankruptcy forms was honored at the National Press Club by the Center for Plain Language with a category award for long legal documents. Overall, this is an amazing job at streamlining and making clear a very complex set of information. In addition, if individual petitioners use this form they will have a much better understanding of the process (from the instructions) and information required on the form. Seeing this form makes one wish other government organizations took such care in creating their forms. We were recognized for Outstanding Service to the Horace Mann League for work on School Performance in Context: The Iceberg Effect - An International Look at the Often-Overlooked Education Indicators. 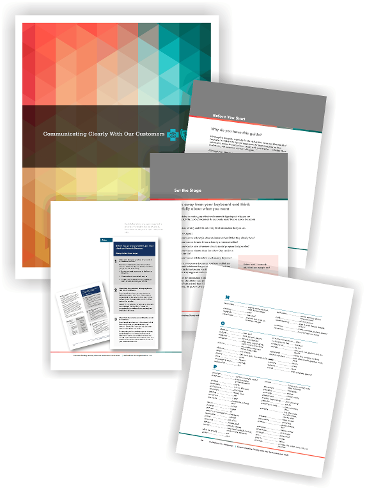 Our redesigned Social Security Statement won Vice President Gore’s Plain Language Award and our work with Westat on the Assertive Community Treatment KIT for SAMHSA won the Society for Technical Communication’s Award of Excellence in the International Technical Publications Competition. With the American Bar Association, we were a ClearMark award winner for Giving Someone Power of Attorney for Your Health Care: A Guide with an Easy-to-Use, Legal Form for All Adults and we also received the Excellence in Writing for Clients from the Association of Professional Communication Consultants for work with the IRS.